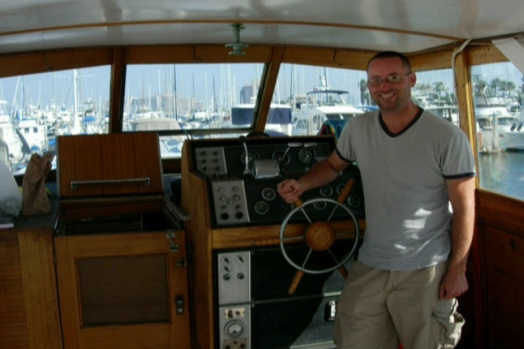 If you have ever wanted to venture out onto San Diego bay in a vintage yacht, then Welcome Aboard! Southern California Boat & Breakfast offers you and your guests a chance to experience the golden age of American yachting at its finest. We offer a collection of vintage vessels, each restored and gleaming with shining chrome and varnished teak railings. These vessels were built by hand, using some of the most talented crafters of the day. Our vessels will not only take you out on the bay, but will take you back in time. Each vessel we present is appointed with all the cultural references and style from that period. 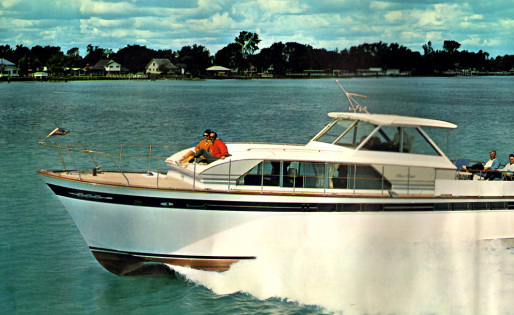 Our current collection includes two vessels hailing from the prestigious Chris Craft Constellation line of yachts, and one from the storied Grand Banks line. Both of our Constellations, the Compass Rose and Dia Nuevo, were built in 1965, and capture the mid-century esthetic, refinement and craftsmanship that Chris Craft was known for. 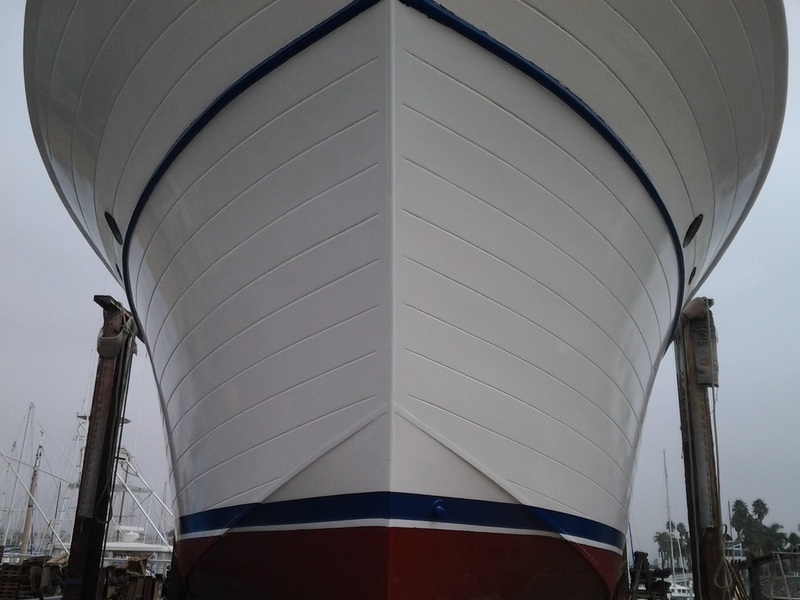 These vessels are being meticulously restored and tastefully updated to match modern expectations. Our other vessel, Tortoise, is a fine example of the Grand Banks line of cabin cruisers. Grand Banks was known for its endurance and superior construction. It offers incredible versatility and an intimate setting for smaller events. We take pride in offering these vessels to serve you. Whether it is for a memorable harbor cruise, or as an overnight guest in our spacious staterooms, our vessels and professional crew will provide you with a memorable experience. Compass Rose burgee. Eventually, as other vessels are brought into SoCal Boat & Breakfast, each one will have this flag design imprinted with the vessel's name. The Compass Rose showing off her new paint job. It's been a long road girl, but I finally got u there.